On Tuesday, the Washington Nationals beat the Tampa Bay Rays 4-2 and Max Scherzer threw his second career immaculate inning, becoming the fifth pitcher to ever throw two. In the top half of the sixth inning, Scherzer faced Johnny Field, Christian Arroyo and Daniel Robertson and struck out the three with the minimum nine pitches. Scherzer said following the game that he was honestly unaware that he had accomplished that but then then walking to the dugout he thought to himself that he may have. Scherzer has won the Cy Young Award the past two seasons in the National League and is one of just 10 pitchers to win three or more. The last time the Nationals ace threw an immaculate inning was May 14, 2017 against the Philadelphia Phillies when he struck out Odubel Herrera, Aaron Altherr and Cesar Hernandez. By accomplishing the feat a second time, Scherzer joins a group of select hurlers that includes Lefty Grove, Nolan Ryan, Sandy Koufax and Randy Johnson. All four are members of the Baseball Hall of Fame. Scherzer called it awesome, when he was informed of the group of former pitchers he joined with his second immaculate inning. This was the second immaculate inning thrown this season. Baltimore Orioles’ pitcher Kevin Gausman threw his first immaculate inning against the Cleveland Indians April 24. He struck out Bradley Zimmer, Yan Gomes and Yonder Alonso on just nine pitches. While the immaculate inning thrown by Scherzer grabbed the headlines on Tuesday night, his overall performance was also very impressive. The right-hander threw 99 pitches on the night and 81 were for strikes. The 81.8% rate is the highest for any starting pitcher this season and the best ever rate for Scherzer over his 332 starts in Major League Baseball. Of the 28 batters he faced on the night, he threw 25 a first-pitch strike, which is the second most during his career. Scherzer finished the night with 13 strikeouts and no walks. 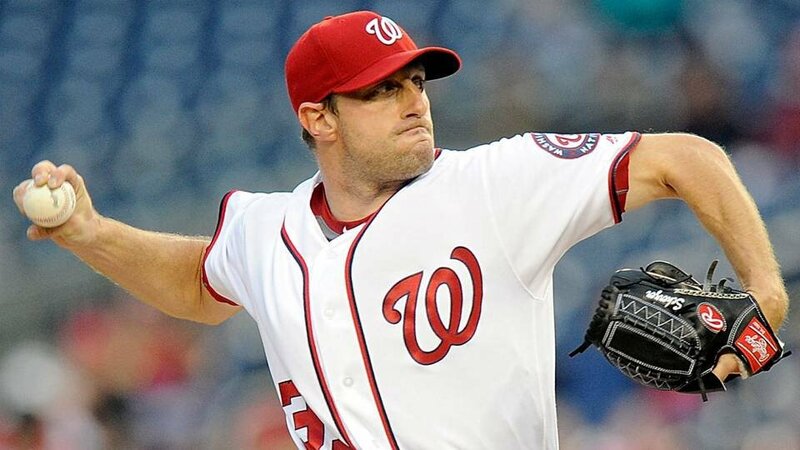 With his victory on Tuesday, Scherzer reached 10 wins for the season. He is the first pitcher in the majors to reach 10 wins this season and is now 10-1. Only once before during his career has he had 10 or more wins before July 1. The last time was in 2013, when he opened the season 13-0 and finished 21-3 with the Detroit Tigers winning the Cy Young Award for the first time in his career.